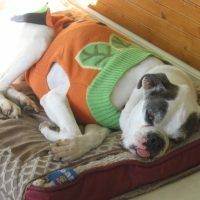 Bo was a sweet little guy with a big heart and wonderful personality. 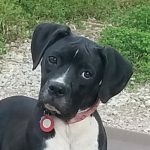 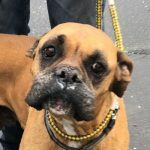 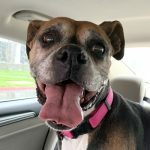 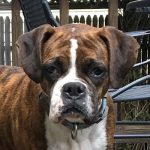 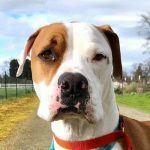 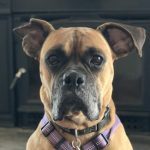 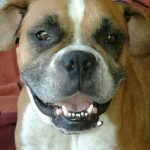 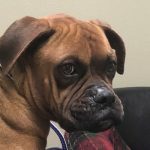 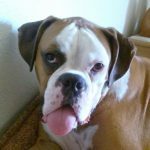 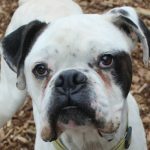 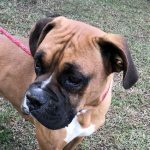 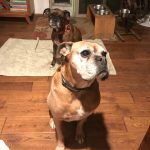 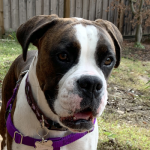 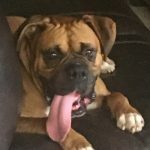 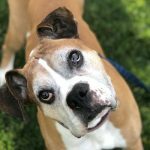 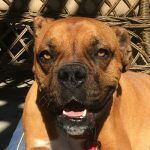 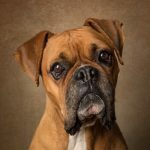 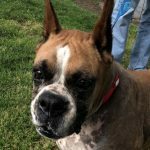 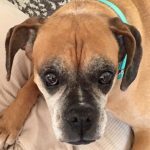 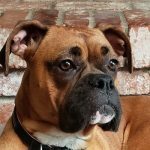 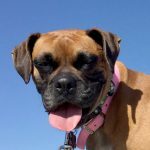 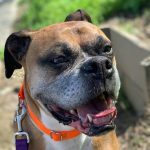 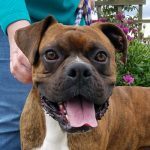 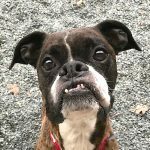 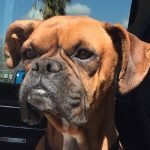 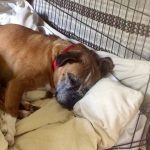 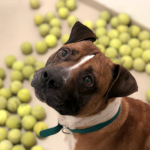 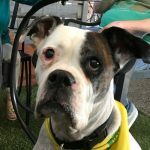 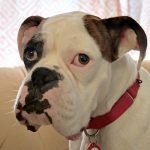 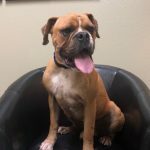 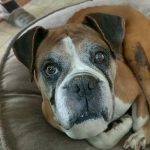 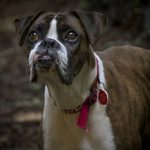 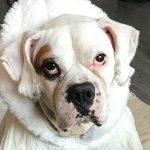 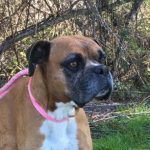 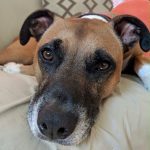 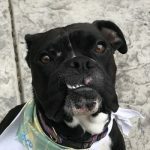 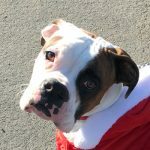 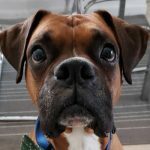 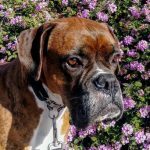 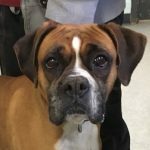 Maybe it was the gray patches around his eyes or his one gray ear and one white ear or the way he wagged his tail when he was happy or his tongue sticking out of his mouth when he was sleeping or just being a senior white boxer, but Bo had a knack for touching the heart of every person he met. 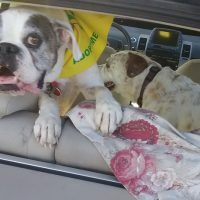 Bo loved his people and wanted to know where they were at all times and followed them everywhere, even the bathroom. 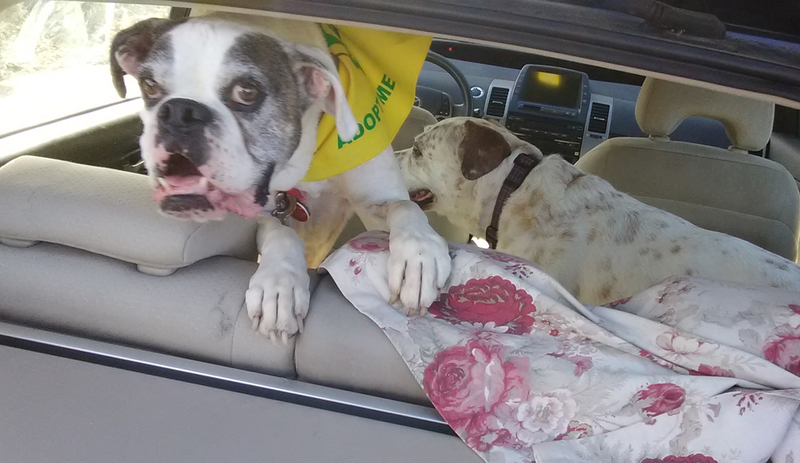 He was a curious pup and was always ready to go for a car ride, look out the window, and watch the world go by. 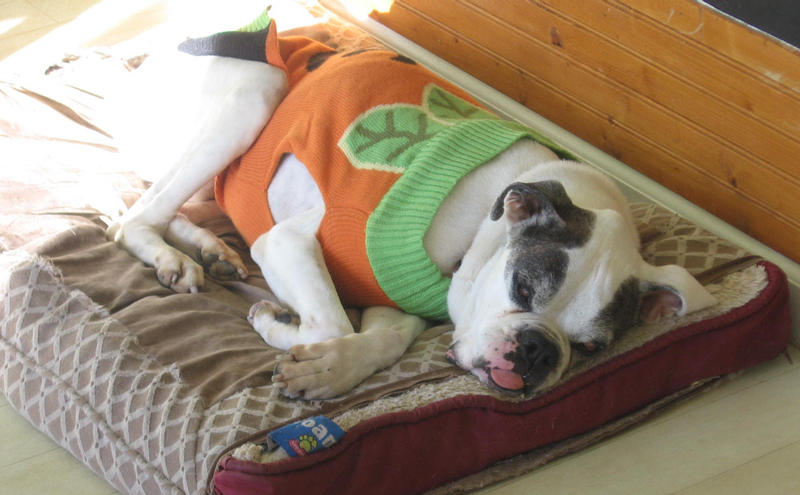 Bo showed that an old dog can learn new tricks and happily sat and lay down for a treat (of course). 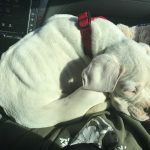 He was happier hopping on the couch, making himself comfortable, and taking a nap next to his sister. 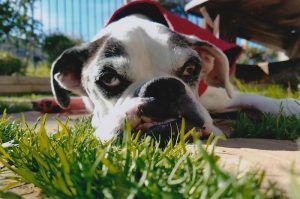 Although we lost Bo much too soon to cancer, we will always love this sweet boy and remember his beautiful, gentle spirit. 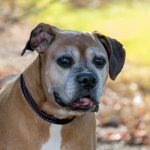 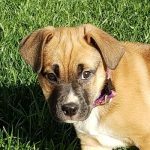 Thank you NCBR for all of your support with Bo’s foster and hospice care.